Have You Heard Of These? Do It Again, Lord. Please. Do It Again. When I was in Bible college, I lived in a suburb of Wollongong nestled on the heights leading up to Mount Kembla. Every time I walked out the front door, there she was, that mountain peak just begging me to climb her. So one day I did. Well, almost. I didn’t really have time to do it just as a hike so I decided to combine it with my running routine. It didn’t take me long to find the small country lane that led up it’s slopes. On the mornings when I’d run, I could make it two-thirds of the way up the mountain in fifteen minutes, but then I’d have to turn around and head home in order to keep my routine to a half an hour. My goal was to get to where I could run all the way to the top and back in a half hour. Kembla is a quiet mountain. There’s not much that happens up there on the South side of the mountain these days. There are a few homes close to the top, and if you go past those, you’ll come to some old shacks that have fallen to the decay of time. I’m told if you cross over to the back of the mountain, you can visit the town that used to be a thriving mining village. I’ve spoken to a man who used to work in the mines on Mt. Kembla. He told me of the “pit ponies” that would carry the carts in and out of the mines. Evidently Mt. 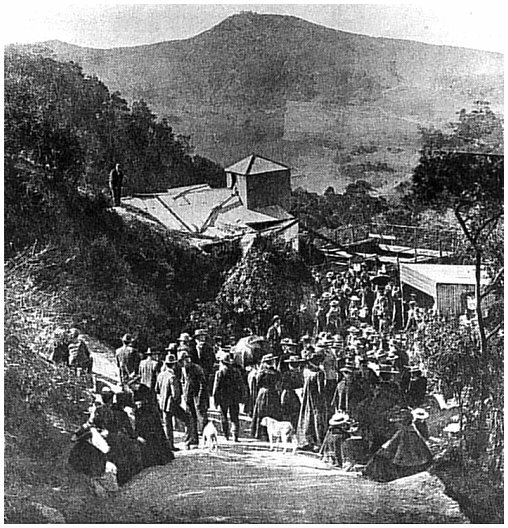 Kembla was one of the last mines to switch over to modern mining techniques. The older miners who just didn’t want to learn the new equipment would be sent there to work using all the older mining methods. I would have never imagined as I jogged up that mountainside—praying often for God to work in our nation—that God had already done a reviving work in that very place one hundred years earlier. When we think about revival in Australia, it seems there’s something inside that tells us it just can’t happen. At least not here. But it has happened and it has happened here! I’d like to do several posts on this topic. There are many revivals in Australian history and I think we would benefit from learning more about them. Perhaps the Lord will work in our hearts to pray that He will do it again. Yes Lord, do it again. Please. Do it again. Jason loves to communicate God's word both in the local church and at conferences and retreats. 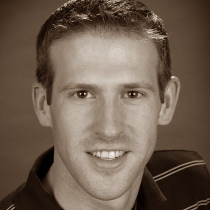 Jason has been involved with Worship Music since 1996 and InFocus since 2005. Jason has degrees in theology, music, accounting, and research and is currently a PhD candidate and lecturer in the College of Business, Law, and Governance at James Cook University, Cairns. Jason is also a pastor at CrossPoint Church. You can contact Jason at jason@teaminfocus.com.au. I must say it seemed like every time I called you that year, you were running up that mountain! Very exciting to read about the revivals in the region, looking forward to what’s coming next. Nope. What’s worse, I never made it to the top. Some day I’ll go back and go all the way up. Copyright © 2005-2016 by InFocus. Powered by WordPress. Effective News theme by Themelions Team.